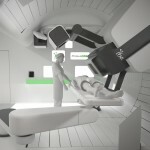 Two highly regarded radiation oncologists, Ryan Grover, M.D., and Huan Giap, M.D., Ph.D., have joined the medical staff at the Scripps Proton Therapy Center, expected to open for patient care in late summer 2013. Dr. Grover joins Scripps Clinic as chief of head and neck, central nervous system, sarcoma and gynecologic proton beam therapy. In his new role, he will be responsible for patient consultations, treatment planning and treatment management. Previously, Dr. Grover was chief of head and neck radiation oncology at Loma Linda University Medical Center in Loma Linda, Calif., where he was also an assistant professor of radiation oncology. Dr. Giap joins Scripps Clinic as chief of breast, gastrointestinal and lung proton beam therapy. 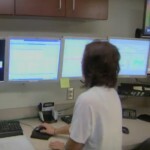 He will consult with patients and plan and manage their treatment. From 1998 to 2008, Dr. Giap served as a radiation oncologist with Scripps Clinic. 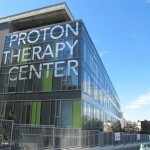 More recently, he was chief medical officer for Advanced Particle Therapy (developer of Scripps Proton Therapy Center). Dr. Giap co-chairs the publication committee and serves on the executive committee of the Particle Therapy Co-Operative Group. 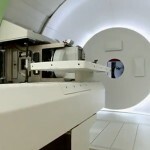 The Scripps Proton Therapy Center will be San Diego County’s first facility to offer advanced proton therapy to cancer patients. Proton therapy destroys tumors with greater precision and control than other radiation therapies, resulting in less damage to surrounding healthy tissue and organs. The arrival of these two distinguished doctors will provide a wide range of expertise to many cancer patients.